Improve Your Gas Mileage this Summer with All Star Automotive! If you’re hitting the road for this summer, then you probably care about getting the most out of your vehicle — namely, getting the most out of the gas you put in the tank. There are some easy things that you can do to cut down on your gas bill in your existing vehicle. At All Star Automotive, we thought we’d put together this list of helpful tips to get the most out of each gallon you put in the tank! Drive Sensibly – Just don’t drive like you’re on the racetrack! 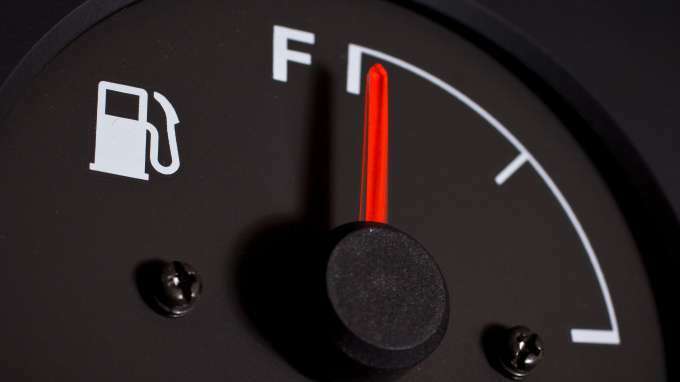 Driving the speed limit, or driving slower is one of the easiest ways to save on gas mileage. If you’re a particularly aggressive driver who speeds, brakes hard, and accelerates hard, simply relaxing can save you as much as 30% on gas! Maintain Your Car – Stop by the All Star Automotive Service Center to have regular maintenance performed on your vehicle. Changing your oil, rotating and replacing your tires, and keeping up with the rest of your regularly scheduled maintenance is a great way to squeeze every last drop of efficiency out of your car. Don’t idle – If you’re going to be sitting in one place for more than a minute, whether it’s in a traffic jam or waiting to pick up the kids from school, just turn the engine off. The myth that starting your car will burn more gas and is worse for the environment than idling is just that: a myth. Use Cruise – Cruise control will inevitably help you maintain a steady pace on the highway better than your right foot! Cruising will save you gas on long highway drives because your engine won’t have to work as much to accelerate back up to the speed limit. Pick a More Efficient Vehicle – Regardless of how you drive, some vehicles are simply more efficient than others. If you want to burn less gas and still get all of the performance you expect from our lineup of vehicles, you can get behind the wheel of a more efficient vehicle like our large selection of Hybrid vehicles. Visit All Star Automotive for more driving tips, or to get any necessary maintenance and repair services for your vehicle. This entry was posted in Uncategorized and tagged all star automotive, GAS, Gas Mileage, MPG, Save on Gas Mileage, Summer Road Trips, Tips, vehicle maintenance by All Star. Bookmark the permalink.